Posted by Amber Wood on October 15, 2018. 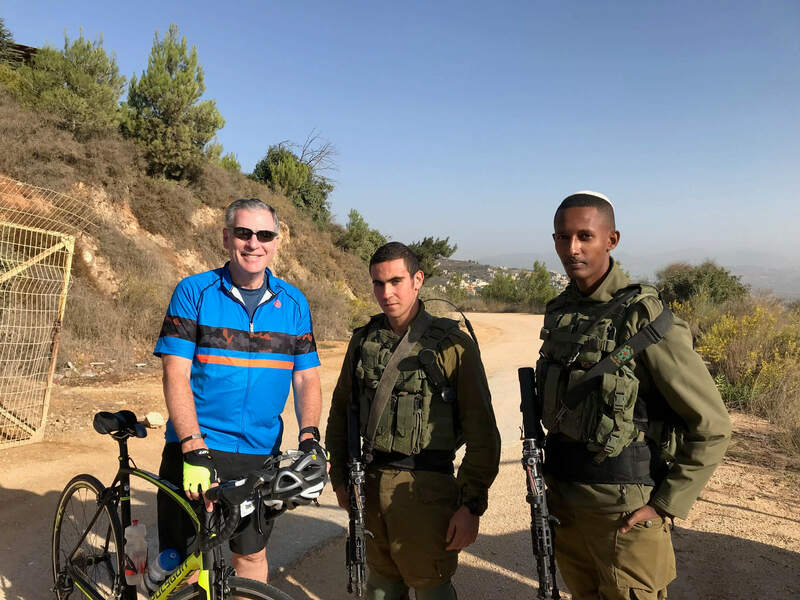 I’m very fortunate this year to participate in the fourth annual Friends of the Israel Defense Forces (FIDF) bike ride in Israel. With friends to visit and new things to see, it is always terrific to be back here. Over the course of a week we’re going to be riding well more than 250 miles. Today was the first morning of our ride, and we began high up in Israel’s north, at the border of Lebanon. This picture is of me with two Golani Brigade standing watch this morning. Today’s ride was close to 60 miles in total, with plenty of hills to go up and down and a wind up looking at the fabulous birds making their annual transcontinental transit via Israel’s Hula Valley Nature Reserve. Today’s FIDF ride took us on a steep descent from the IDF listening post atop Mt Hermon (the highest point in Israel) down to the Jordan River. Along the way we encountered this crew working next to their armored personnel carrier. The soldier with the rifle strap across his chest is the commander, a lieutenant from Ethiopia. The rider in the center is a distinguished retired senior officer, who notwithstanding an artificial leg helped set the pace for us. Today’s route took us 45 miles along the western shore of the Dead Sea. We passed the spring and oasis of Ein Gedi, as well as the mountaintop fortress of Masada. 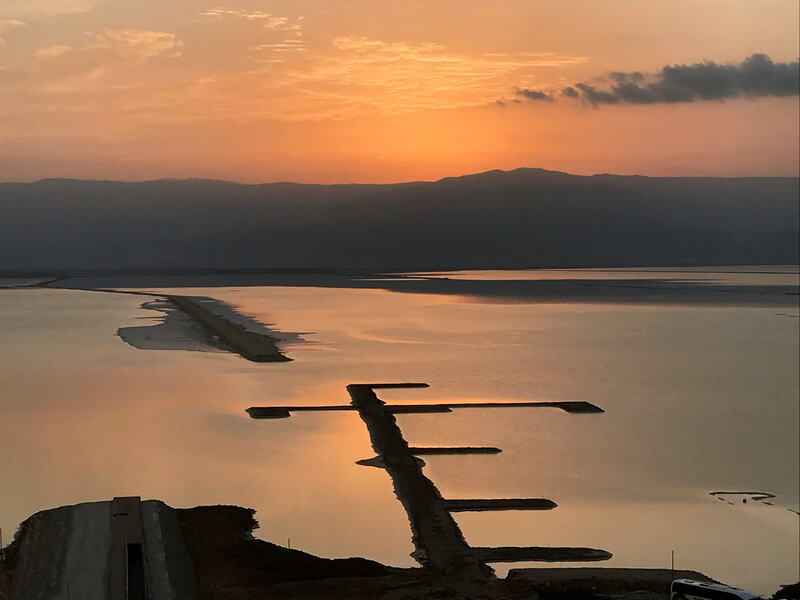 While the Dead Sea has been receding (a much longer story), an extraordinary hotel industry has developed around it, gathering tourists from around the world. We are staying tonight in one of these beautiful properties on the Dead Sea Shore, and plan to take advantage of the saltwater pool, therapeutic mud baths and other delights.The picture attached manages to include motor vehicles, bikes and even a camel waiting to offer a lift. 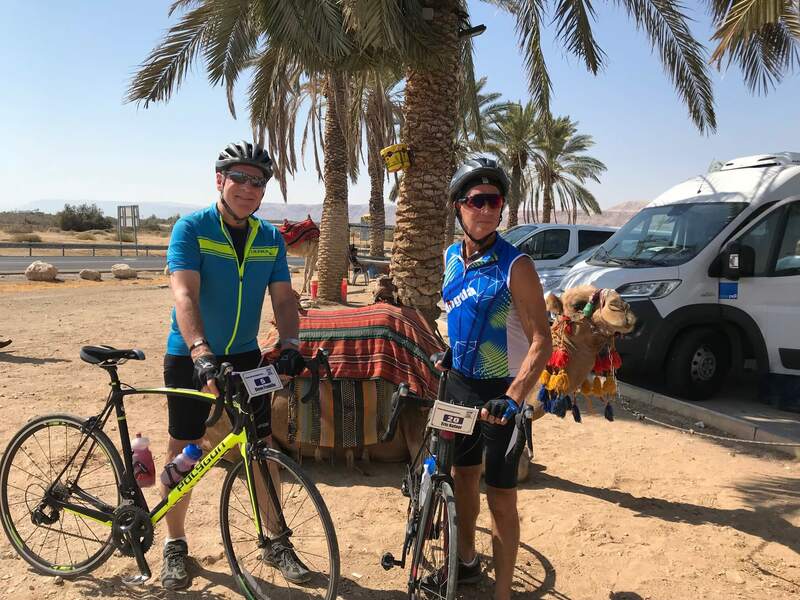 Staying in a beautiful hotel on the shore of Israel’s Dead Sea Riviera, several of us elected to take a pass on today‘s ride through the Negev in order to jump in the water (both Dead Sea and poolside), hit the spa, and enjoy the other amenities. We’ll be back on the bikes tomorrow for our ride up to Jerusalem. Here are photos first of sunrise today over the Jordanian mountains, and then of our briefing tonight as to tomorrow’s route. As you can imagine, there’s a lot of camaraderie among the group. 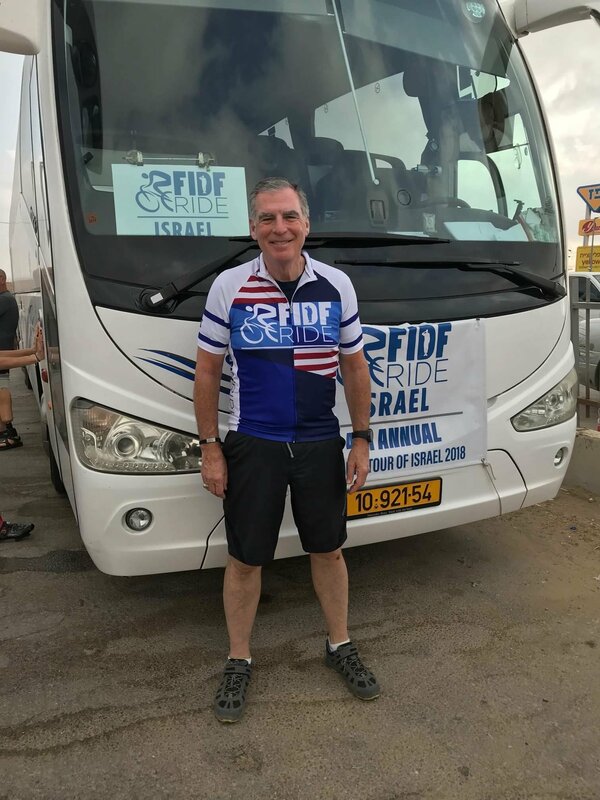 Our FIDF 2018 Ride Israel is complete! 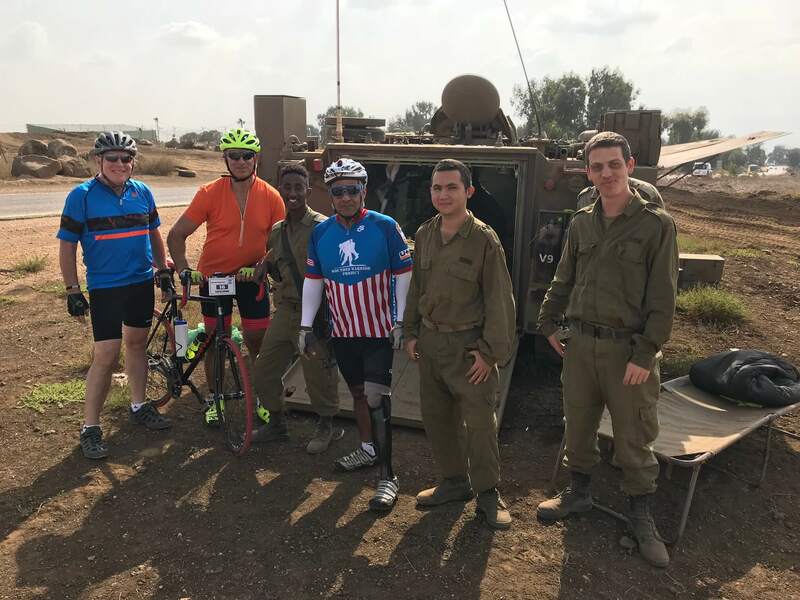 Honored to ride alongside five wounded Israeli veterans, on Thursday we rode from Kiryat Gat up to Jerusalem via beautiful Bet Guvrin Park, Bet Shemesh and the western hills. The weather was flawless and the views spectacular. Following a closing dinner with a dozen soldier-student FIDF Impact Scholarship winners, in Jerusalem we enjoyed the start to the Israeli weekend with a late Thursday night visit to a very lively Machaneh Yehudah, and and then yesterday special pre-Shabbat tours of the Old City and Yad Vashem. My own Shabbat experience was sweetened by two sets of dear longtime friends who invited me to their homes, first for Shabbat dinner in Jerusalem and then to Kfar Saba for a swim in the Mediterranean at Herzliya, and a tour of Sarona in Tel Aviv and a last dinner along the shore. Bicycling a couple of hundred miles in hilly country, I’d thought I might shed some pounds on this trip, but any more I’m not eager to look at the scale! Still I head home with happy memories and a huge smile. Rabbi and Jody Weinberg are leading another congregational trip to Israel in the coming year, and I hope many TBI members will be joining them for a fantastic adventure.